We have good news for you: from last Friday, we are giving more credits on all purchases for all members! This means more playtime for them for private sessions and more income for you!. Whether your member purchases SoulCams credits in USD, EUR or even GBP , they will be served with extra credits by default. At the same time, we decided to cancel the Member Awards. The reason is simple: we would like to re-think the current bonus system and find other ways for our members to earn extra credits. The last Member Awards finisihed Saturday midnight and new one has not started. We strongly believe, that the new credits packages and future promotions will make up for the old Awards. SNAPPY SPRING CONTEST - TEN THOUSAND REASONS TO PLAY! You can read more about the contest on our WIKI page. If you have questions, feel free to contact us! Click here to see the current ranks! 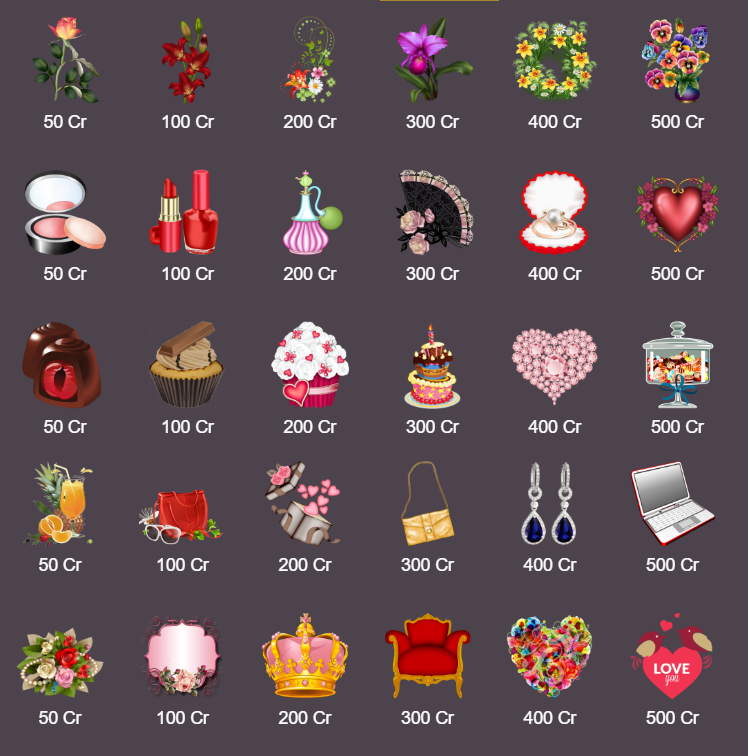 The price of the already existing gift categories remains the same. From today, you can ban USA states from your room. It works just the same as the country ban: you can set the desired US state(s) to be banned for guests/basic members and/or paying members as well. We hope you will find this useful. HINT: Your points are calculated based on your earnings, your online time and the number of hearts you collect. Refer new members to SoulCams and make BIG buck with us! Share your referral link or make sure that new users enter your name in the Referred by field at the signup form. 3 lucky models with the most new members will win incredible cash prizes: the total jackpot is $1750, while the winner takes the first prize of $1000! Dont forget: on top of the insane prizes, you also get up to $300 for each referred member, as well as +20% lifetime commission! HINT: You can also convert existing basic users to paying members to win and get your bonus! You can upload as many photos as you wish. Members can vote on your photos by spending credits. One vote costs 0.5 credits and you get to keep 50% of those credits. Note, that earnings from the photo contest will not be included in the Heart to heart contest. Our team will review and approve each photo before it’s visible on SoulCams. Five models with the most votes will win one of the cash prizes of $500! Between February 13-15, we are offering a Buy 1 Get 2 promotion for members! The offer is valid for all packages without limitation on purchases. 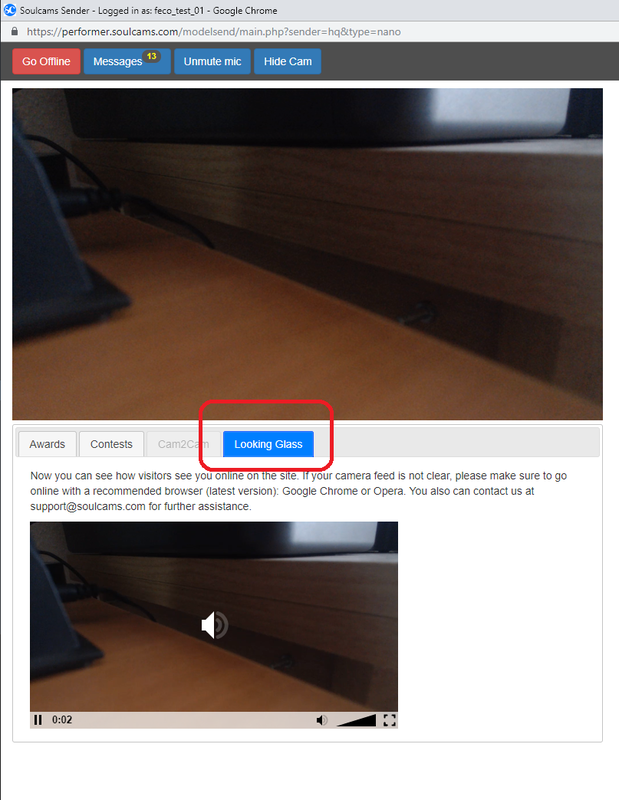 Rarely, but it might happen that your camera image quality is not the same on the site as you see yourself in the SoulCast streaming app. 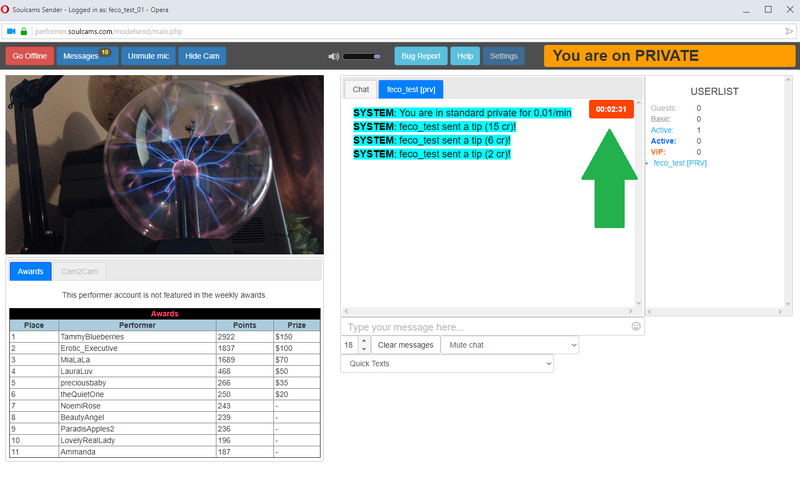 Thanks to a new feature that we have just implemented today, you can check out with one click how the visitors see you on the site. Click here to see where this button is. We hope you find this feature useful. CONTEST RANKS APPEAR IN SOULCAST APP. Besides the Model Awards places, you can see the current contest ranks as well from now if there is an ongoing competition. 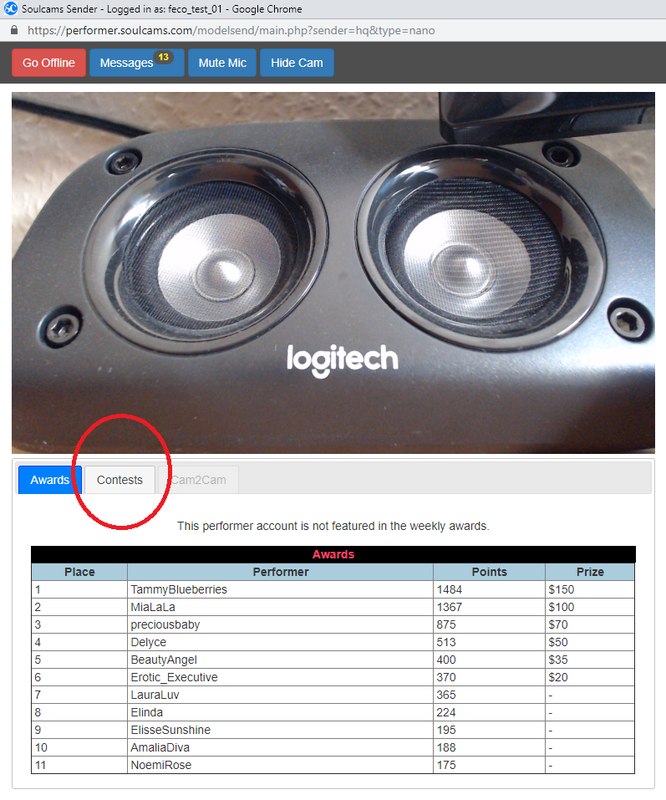 The 'Contest' tab is between the Awards and Cam2Cam buttons. FRENETIC FEBRUARY - PLAY AND WIN AWESOME CASH PRIZES! We invite you to our Frenetic February contest to win amazing cash prizes! Between February 1 - 12, You automatically collect points based on your earnings from private shows, tips and spy sessions. Your online time (hidden cam not included) will also add to your points. The winner takes it all: our first prize is $1000 in cash! We announced last year our cooperation with ePayments and many of you have chosen that as their primary payout method. At that time they did not offer prepaid cards, but we received the good news last week, that everyone within the EU has now the option to order a new card. Make sure to order an EUR card as we will send money in Euros. Head over to ePayments website to learn more and order your card today. If you have questions about payments or want to suggest a new option, contact us! Standalone models and studios can request their payout through WebMoney from today. WebMoney issues PaySpark card, PaySpark China UnionPay card and MyChoice VISA prepaid cards for those with WME (EUR) purse. If you want to use WebMoney to receive money from us, you need to have a WebMoney account and and a purse in EUR (WME purse ID). Read more about WebMoney on our wiki page or contact us at [email protected] if you have questions. This page was last edited on 16 April 2019, at 12:08. This page has been accessed 31,785 times.